Welcome to Americas Best Value Inn Lake Tahoe/Tahoe City California. We are the only hotel with air conditioning and heat in every room in north Tahoe. Located on the northwest shore of Lake Tahoe/ our hotel is within walking distance of the Tahoe city marina where you can enjoy boating/ fishing/ golfing/ and rafting. We are directly across from the Commons Beach which has a children*s playground/ amphitheater/ and picnic/barbecue facilities. Our hotel is near many local attractions including the Watson Cabin Museum/ Gatekeeper*s Museum/ North Shore Casino/ and Vikingsholm Castle. We are close to Squaw Valley/ Alpine Meadows/ and the Homewood Mountain Ski Area. Call local ski area for ski shuttles. Blue Agave Mexican Restaurant/ Jiffy*s Pizza of Lake Tahoe/ and Rosie*s Cafe are just a few of the restaurants located within walking distance. Americas Best Value Inn Lake Tahoe/Tahoe City offers clean comfortable guest rooms with upgraded pillow top beds/ an attentive 24-hour front desk staff/ and competitive rates. Start your day right with our free daily continental breakfast. Our AAA/ Mobil Guide/ and FEMA approved hotel is activity-centered and offers a seasonal outdoor swimming pool and a year round lake view hot tub. Our hotel offers free parking that is large enough for motor homes or boats. Step into our guest rooms and experience absolute relaxation with free wireless high-speed Internet access/ coffeemaker/ cable TV with HBO/ hairdryer/ iron/ ironing board/ desk with lamp/ free local calls/ voicemail/ and wake-up service. At Americas Best Value Inn Lake Tahoe/Tahoe City We*ve Got You Covered from the time you hit the road until your head hits the pillow. 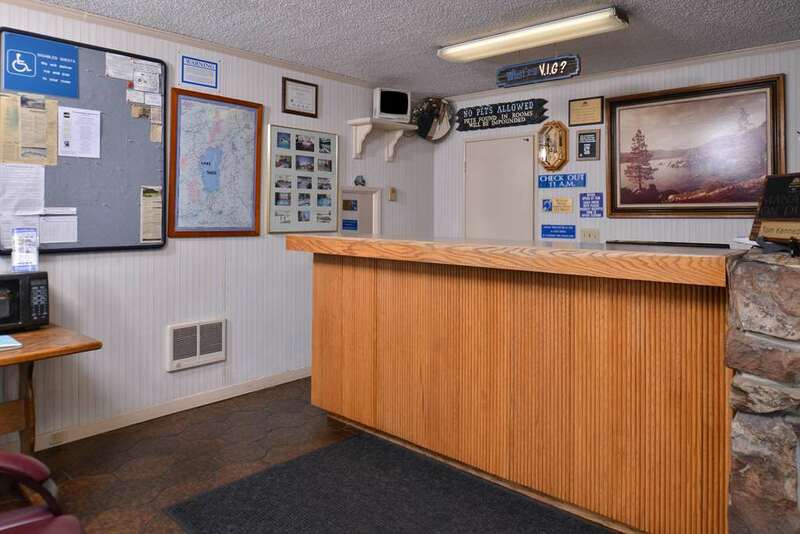 Americas Best Value Inn Tahoe City/Lake Tahoe is conveniently located off of I-80 Exit 185. Our address is 455 North Lake Boulevard/ Tahoe City/ California/ 96145. Sierra Sage Roofing - Sierra Sage Inc.